To discover some of the tourism highlights of the Middle East (including sandy summer beaches, or desert safaris) come to this avant-garde Arabian city. 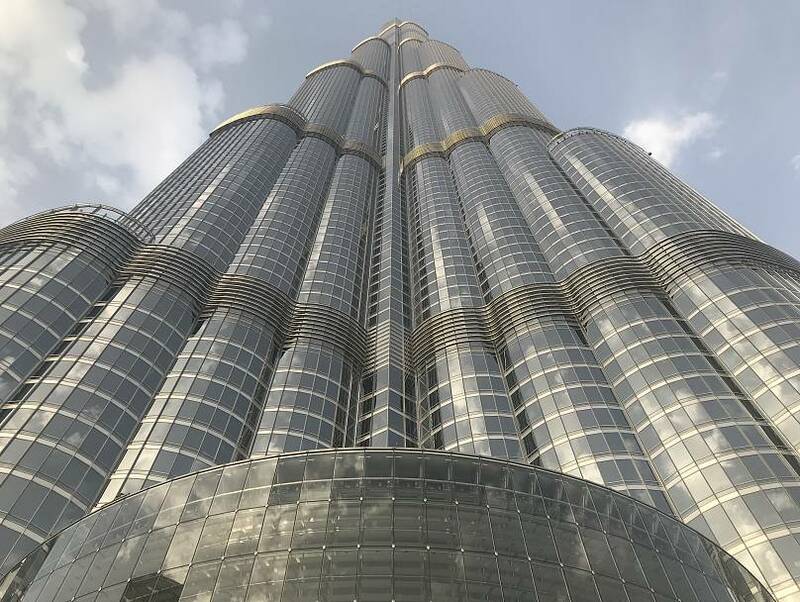 Although Dubai is a popular hub, it was only recently that I decided to visit this busy metropolis for the first time. It's a global, busy city but one with friendly, well-organized clean atmosphere. The Desert Palm is a boutique-inspired escape amidst nature, offering dramatic vistas and lush landscapes blended with the city’s skyline. 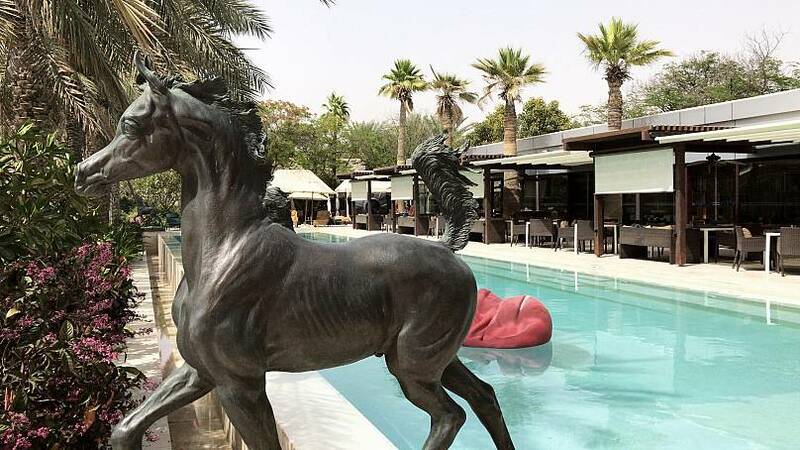 Venture to this stunning open resort and gaze out over the championship polo fields while having lunch. The Like Spa has crystal-infused fresh waters to choose from and they were refreshing and distinctive - I could taste the difference. My villa had two rooms, a private terrace, a kitchen, a cabana with a pool and a colourful mini garden with pink Bougainvillea trees along the walls. A lovely, spacious and very personalised hotel with excellent service, relaxing music and caring helpful staff. Take a desert safari with Platinum Heritage. An authentic and unique experience awaits you. You'll be escorted in Land Rovers and camels to a Bedouin camp where you can rediscover history. Emirati cuisine prepared by traditional methods and cultural entertainment allow you to immerse yourself in the local culture. Explore native wildlife, watch breathtaking sunsets and taste the desert habitat. Nature guides will show you their falcons, take you off-roading through the dunes of the vast desert and entertain you with classic Bedouin culture and customs. The stars out here are truly out of this world. I have never witnessed so many stars twinkling clearly in the night sky. Spend the night in a tent ( warning, no AC!) for the full adventure and enjoy a hearty variety of gourmet breakfasts the next morning. Try a cold or warm Mezze platter; which is a selection of mixed appetiers. Fresh Humus, Grape vine leaves wrapped around spiced meat and rice, roasted eggplant puréed or tabbouleh salad with fresh cut parsley, onions and tomatoes are healthy alternatives to mix with lamb, grilled salmon or curry. Dubai has always been an international hub and offers many kinds of curry styles which I love, like Thai green curry or Indian Tikka Marsala. Zuma is still a hotspot and Nobu is great for sushi and ambiance. Pretty much all the big-name international chains have a presence - Ciprianni, Le Bagatelle, La Petit Maison, Scalini. I also recommend you try Flamingo room for dinner as an alternative or Roberto’s for lunch. Or visit the Armani cafe in the Burj Khalifa, the tallest building in the world ! Their terrace offers for drinks outside and watch the magic fountain show running every 30 minutes. At the Souk in the Old Town you can find many amazing well-priced gifts to bring home. I really loved the sterling silver jewellery, evil eye jewellery or gold plated artisan designs. There are so many different colours and designs but bargaining is a must if you want a good deal. The local merchants usually list all their prices higher, whether for a custom woven or handmade scarf or handmade leather sandals.